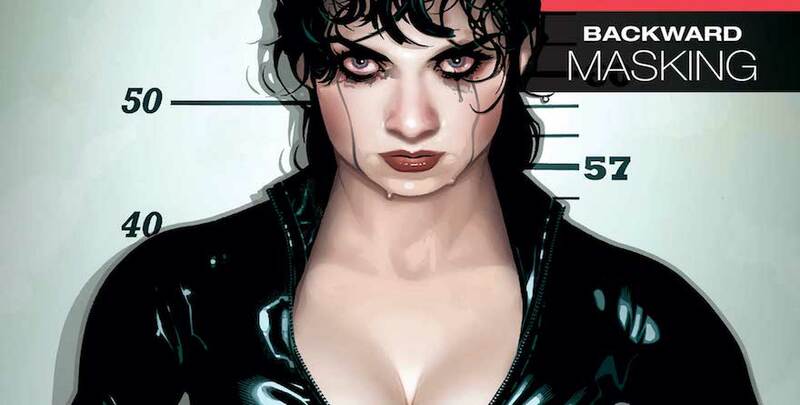 Catwoman, Volume 5: Backward Masking follows immediately from The One You Love and in the same Pfeifer verse, continuing with a lot of the Black Mask/East End drama and there’s a lot more Catwoman and a lot less Slam/Holly/Karon again. Collected in this volume is 6 stories over 232 pages (15 issues) with, in our opinion, every story being a ‘good’ story making the collection as a whole excellent value for money and well worth the shelf space on any collectors cabinet. 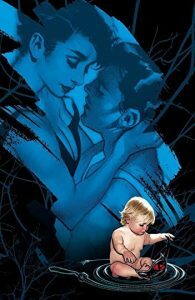 This collected edition has one of the best photo realistic covers of any collection so far, once you flick past that the six stories included is Backward Masking, The Replacements, Memories are Made of This, It’s Only a Movie, Sons and Daughters and The Paperweight. Each story flows seamlessly into the other without being overly connected that you need to read it in one single session, this to me was such a big plus point as I really took my time to read this and enjoyed it more because of it. I’d also recommend doing that. The first storyline, perhaps the biggest part of the book is Backward Masking and sees Zatanna drop an absolute bombshell on Catwoman that she and a few of the JLA (not Batman) went into Selina’s mind and forced her to lean more toward her good side rather than her bad and poses the question “did you not notice that you were becoming more of a hero?”. Catwoman is shocked and stunned that about all this and obviously absolutely outraged anyone went into her head. She’s not sure who she is anymore and as a reader neither do we. I did instantly realise that yes, she has been quite a hero and her crimes are minimal, this has given us some watered down tales and a lot less friction from any of the Bat-family. 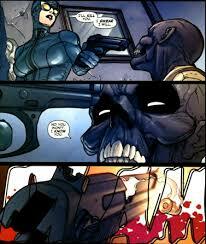 All she cares about now is her friends and protecting the East End, which Brubaker laid the foundations for. Which takes us to the bulk of the story – settling the score with Black Mask and it seriously explosive and everything is really on speed from start to finish after Zatanna’s entrance. It’s a dark and gritty storyline with an ending that affects pretty much the rest of the collected edition some way or another. The next storyline is The Replacements which I had actually reviewed on its own and can be found here. Memories are made of this is one of the shorter stories that sees Zatanna come back to help Catwoman (or repay her big time) and to take some heat off her, especially because of what happened at the end of Backward Masking. On one hand it works with Angle Man but on the other it backfires with Film Freak as he goes on a murderous rampage and flows straight into It’s Only a Movie nicely. This storyline was another favourite of mine as it was so full of action and memorable scenes. Film Freak doesn’t have any powers to speak of but as a film lover I did find it fascinating how the old movies were linked into his crimes. It’s not a groundbreaking story but it is a nice break from the Black Mask stuff. My complaint with this portion of the book is that Catwoman has gone from going up against Black Mask to going up against Angle Man and Film Freak who are C-grade villains at best, pair this with the Zatanna stuff and you may come to the conclusion that Pfeifer has really watered down Catwoman – even if the storylines and character are well represented, written and drawn you would still expect some heavy hitters to come after Catwoman as she is, in my mind, a heavy hitter herself. Throughout the boom the artwork is colourful and modern and a long way from the Brubaker era, but that’s not a bad thing. At no point does the artwork ever let the writing down and the consistency of it all is one of the best features of a book the size of Backward Masking. No complaints here. Sons and Daughters gives us the answer we finally want which is “Who’s the father? !” and it’s given in a pulpy, somewhat cheesy short story of Sam Jr and Catwoman’s time clearing up the East End. Catwoman is still clearly a ‘goody’ despite learning the truth about what Zatanna did to her which makes you think that it was either a writing cop-out (likely) or that she just likes being the good guy (unlikely). Anyway, there’s no surprises in this short story but it does bring Slam back into the fold as he has been written in a lot less since Pfeifer took over from Brubaker. In the same way as Memories was done, Sons and Daughters is a bit of a filler between two bigger storylines. Finally, we have the Paperweight which is a fun, heisty Metropolis crossover which features Superman very briefly and Lex Luthor in a way. There’s no depth in the storyline because it’s pretty much all out fun, and that’s how it came across when I was done with it in spades. If you’ve been missing some of the action after Backward Masking then Paperweight brings it back with some style. Overall, Backward Masking is a fantastic Catwoman read from start to end and continues Pfeifer’s excellent work on the iconic character. The only thing that keeps it back is it’s not ‘epic’ or ‘unforgettable’ but just very good and consistent from start to finish and that’s the only reason it’s not getting a 5/5.